Is there a way we can be healthier, richer and make the world a better place, through a single habit? 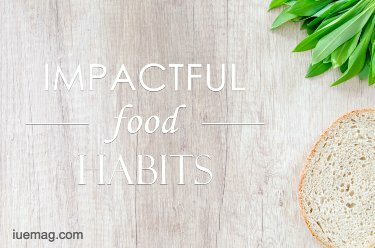 Sousthav chakrabarty, the co-founder and CEO at Capital Quotient from his personal experience has figured that this one habit can truly impact your life in various ways to make you healthier, richer and help you impact the world too in your little ways. We were intrigued and went on to figure how and here's what he wrote for the column. Read ON! What does it mean being healthy? When we say a person is healthy, it usually means that there is a balance of various chemicals and hormones in their body, a balance between their muscle and fat composition (yes, we all need some fat! ), proper functioning of their organs, and a better than average stamina. An extended definition also includes having an emotional balance, so we don’t lose it at the drop of a hat, mental balance, so our mental faculties are functioning optimally and helps us think clearly and quickly, and a spiritual balance, so that we have some idea behind our purpose in life and an endless list of existential questions. Chances are that all of us have a few areas that are out of alignment. How do we quantify being richer? Being rich is very subjective and it’s more a question of what it means to be rich rather than how much. If you visited a restaurant and ordered a meal without looking at the right side of the menu, would you consider yourself as being rich? Possibly not, but would you consider yourself as being financially free? Isn’t being rich just that? Being financially free possibly means to do what you want, when you want, without having to worry about how to pay for it. Being rich is just that. The rich can do what they want, when they want, without having to worry about how to pay for it. It doesn’t matter how rich you are – it’s just a matter of scale. Attaining financial freedom requires years of disciplined saving and investment combined with periodic review and rebalancing. The basic assumption is of course that there is something for us to save meaningful today, else all this becomes theoretical. Is saving meaningfully a challenge for you? Well this one is a big one. There are so many areas where we could be doing better. Pollution, disease, hunger, poverty, population, debt, religious conflicts, political conflicts, trade wars - The list is endless. Let’s focus on only one aspect. If we can fix one problem, wouldn’t you agree that it’ll go a long way to making the world a better place? With population now expecting to double over the next 15 years, we’re looking at an acute shortage of food. Isn’t it ironic that half the world’s population goes hungry, while the other half struggles to lose weight? A Japanese cell biologist and Nobel Prize winner Yoshinori Ohsumi found that when we fast for 10 to 12 hours during the day, the energy present in the body is used up. With time, when appetite becomes intense the body starts to eat the dying and diseased cells, especially cancerous cells. While the full explanation of what happens, and why is beyond the scope of this article, but here’s the summary of it. All the hype around having 6-7 meals a day, breaking down your meals, consuming something every 2 hours, is just that. A hype. If you have followed one of these diets, do you feel drowsy all day? Ever wondered why? Because your body is always digesting food, while it already has surplus energy stored from the first meal of the day – your breakfast. It is a scientifically proven fact that the human digestive system needs 10-12 hours to fully digest a meal, especially a heavy one like a breakfast. During this period, why would the body need more food? It’s a propaganda that has been spread by the billion-dollar food industry. They want you to have expensive juices, almonds, walnuts, and what-nots during the day, only to keep their cash registers ringing. Now what does all this have to do with being rich, or making the world a better place? Out of all the amount that you spend on food every month, go back and check how much you spend on lunches every day. Surveys that we have done spreading across 2,000 participants (while doing their financial plan) show that they typically spend 50% of their daily food budget only on ordering lunch. Imagine if you could do without that! Will that put much more money in your pocket to save, and eventually invest? I needn’t tell you what this will do to the worldwide hunger problem. If 50% of the world (which is incidentally struggling with obesity) decides to skip lunch, then the remaining 50% (which gets only on an average half a meal a day) will now get a full meal, in addition to the half a meal that they get already). It’s not a perfect solution, but isn’t this high impact? Being healthy is that simple? The first day you go without your lunch, your body will fight you. It will fight you bad. But then again, you didn’t quit when the same happened when you joined the gym. So why would quit now? After about a week, you will start realizing that your body is getting used to the idea of having a 12-hour break after your breakfast. You will start getting hungry only around 5 or 6 in the evening. And after you satisfy that hunger with an early dinner, you will no longer be hungry for the rest of the evening. Wait, what’s being rich got to do with it? In India, the average a person spends on a lunch each day is around Rs. 200 – Rs. 250. Let’s look at what it means to save this money over a short, medium and long duration of time. A daily saving of Rs. 200 (assuming you raised your eyebrows when I mentioned Rs. 250 earlier) works out to a monthly saving of Rs. 6,000. Assuming a 10% rate of return (and I’m not assuming blockbuster mutual fund returns of 12% or 14%, what has typically been earned in India over the last 2 decades), this implies a total value of Rs. 4,68,494 over 5 years, Rs. 12,39,312 over 10 years, and Rs. 45,94,181 over 20 years! What impact can I create? Every day you skip a meal at lunch time, you put money in your pocket, money that would have got wasted in making you unhealthy, obese, and later struggling at your gym. This money will be with you, when you need it, providing you that additional layer of financial security. Your body will thank you for treating it well, not over-feeding it. The energies in your body will be better aligned, you will feel more energetic throughout the day. And you will feel light all day – like you’re walking on air. Do it and see for yourself. If you would like to deliver more impact, for every Rs. 1,000 that you save on lunch, you can go ahead and contribute Rs. 50 to a mid-day meal scheme. You would have paved the way for someone else, somewhere, to have a full meal that day – how rewarding is that? Don’t blindly follow what habit I’ve written about. Read about it, discuss with friends and family, but constructively – they have a way of judging everything. Remember you’re doing this for yourself, so they may initially not support you. Discuss with a doctor if this habit is suitable to your health conditions – you can even discuss with a dietician. But remember, the interests of billion-dollar food companies. Be cognizant of that. After you’ve done your due diligence, decide if you want to give this habit a trial. I hope it works for you, the same way it did wonders for me. Any facts, figures or references stated here are made by the author & don't reflect the endorsement of iU at all times unless otherwise drafted by official staff at iU. This article was first published here on 18th January 2019.